Realizing projects right in our home region – the extraordinary World Heritage city of Regensburg – is always a special challenge and delight. 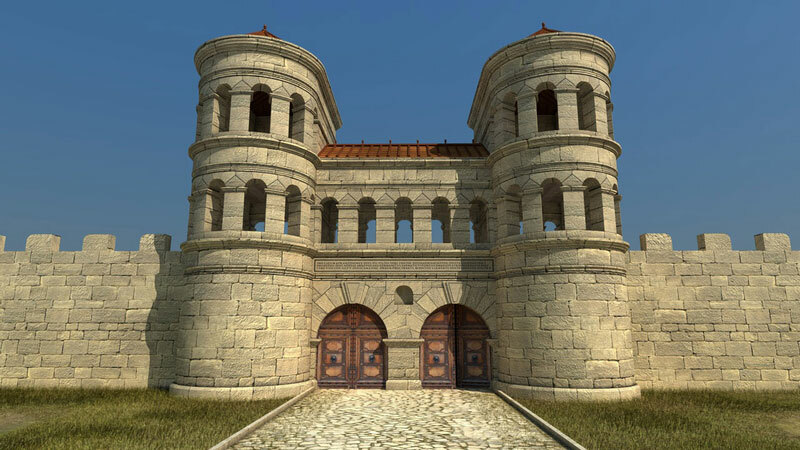 Although only small parts remain preserved, the Porta Praetoria of Regensburg is one of the most well known Roman gates in Germany, after the Porta Nigra in Trier. 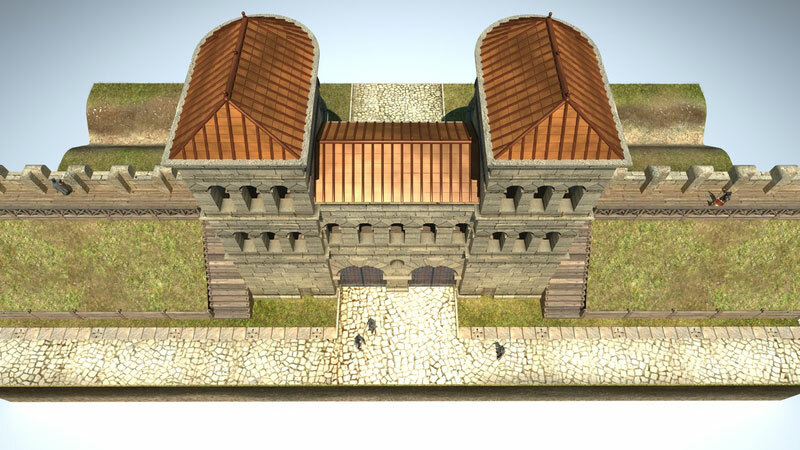 The general term “Porta Praetoria” designates the central gate in Roman military bases. 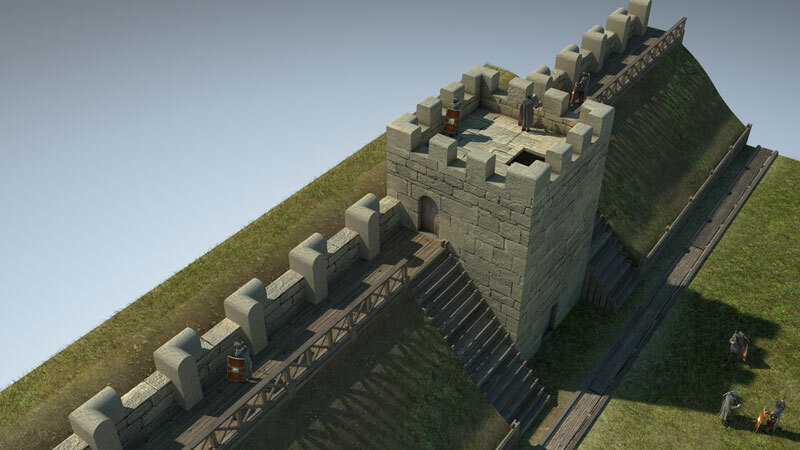 It was the gate for attacks and usually faced the direction of the enemy. In the Late Middle Ages, the Roman legion fort in Regensburg disappeared from people’s consciousness and was only rediscovered in 1885. It was intergrated into the construction of the bishop’s court, which unfortunately also destroyed parts of the wall. Construction was finished in 1887, the results of which can be seen today. 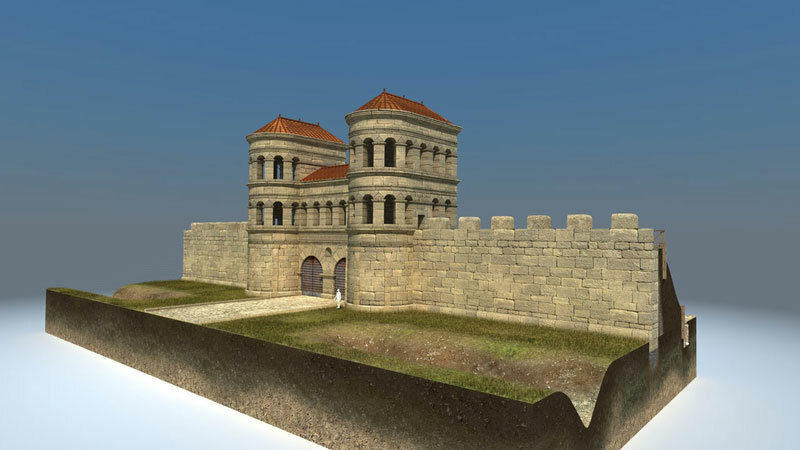 The visualiziation of different stages of the Legion Fort Wall from app. 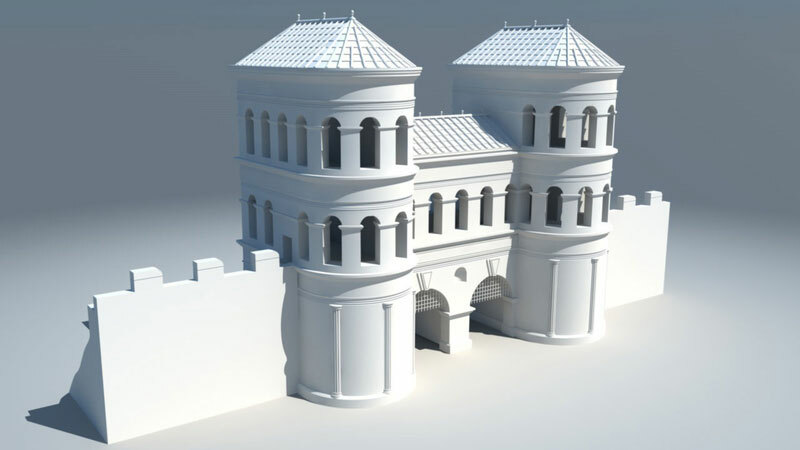 175 AD onwards, as well as different construction stages of the Porta Praetoria (based on thresearch of Dr. Thomas Aumüller (2002)) has been occupying us until 2011. 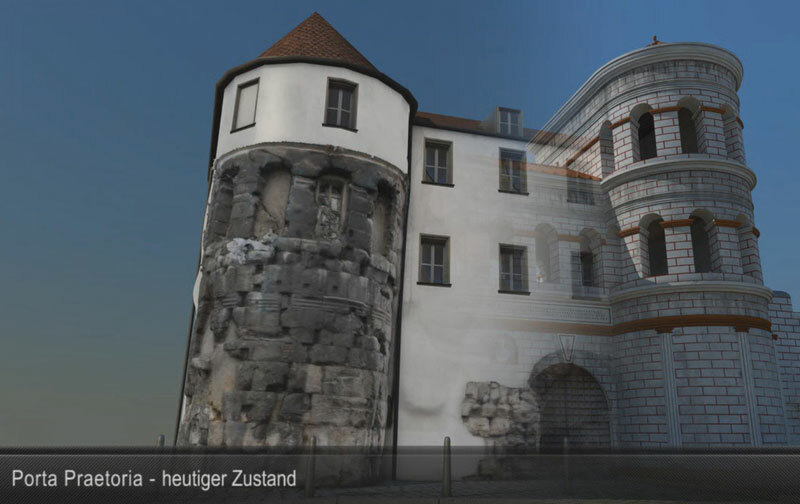 The visualizations were carried out under the commission of the University of Regensburg (Department for Bavarian Regional History). The animations were embedded in a state of the art, satelite-based, digital visitor’s guide with about 100 “points of interest”. The project’s goal, sponsored by the German Centre for Aviation and Space Travel and the Bavarian State, is the development of a chip set for the combined usage of the satelite navigation systems GPS and GALILEO, which can also be deployed on standard cell phone plattforms (HIGAPS). By increasing the number of available satellites, a higher level of accuracy and reliability concerning shaddowing can be achieved. This is extremely important in the narrow alleys and deep street canyons in in the historical city centre of Regensburg, where GPS alone often fails.